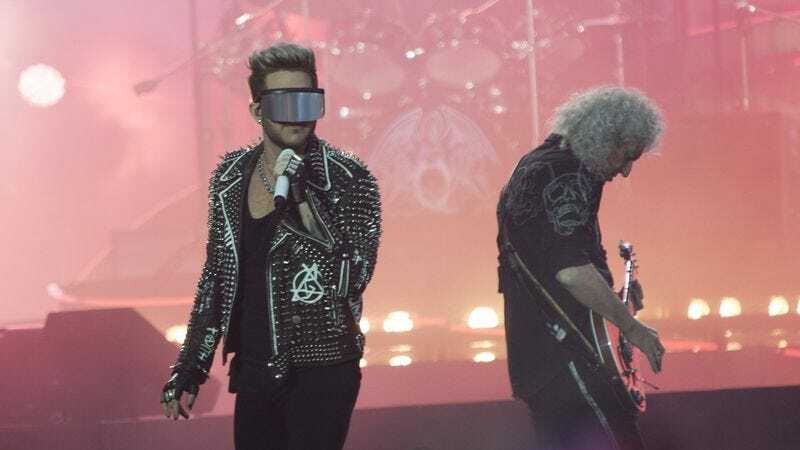 In what should be fantastic news for fans of American Idol singer Adam Lambert and a kind of resigned shrug for fans of Queen, Rolling Stone reports that Lambert, Brian May, and drummer Roger Taylor are going back out on tour. The trio has been working together for the last eight years, when the vagaries of fate and reality singing competitions forced them into each other’s arms. Since then, they’ve performed a number of shows and tours as Queen + Adam Lambert, with Lambert attempting to fill the late Freddie Mercury’s kickass Adidas sneaks. Tickets for the 25-stop North American tour go on sale on February 3; members of either Lambert or Queen’s fan-clubs will have early access to sales.